jack is reindeer this winter! Ha! 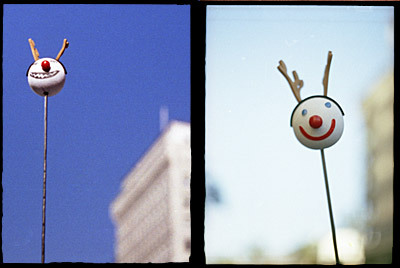 Naughty and nice… perfect diptych. This made me smile as soon as the page loaded! We don’t have Jack in the Box where I live, but I really want one of these. Love your shots for today!